Anti-crack additive to prevent hairline cracks in concrete ponds. Prevents future leaks. Add strength and prevent concrete from cracking by adding wizard fibre to the last layer of concrete render. Wizard is a very fine glass fibre designed specifically for mortar or concrete reinforcement ponds and pools. It has been in use for decades in specialised architectural and construction projects where very high performance is required to withstand sustained stresses or harsh conditions and where long service is important. It prevents cracks forming in concrete ponds thereby preventing leaks. Cracks in concrete ponds can cause leaks, use anti crack fiber to prevent this. Increases workability, making it easier to apply. Coverage: 1 kilogram pack can cover 8 to 18 square meters at 5mm thick. Tips: Allow extra time in mixer for fibers to disperse.Do not add water proffer to final anti crack fiber render so as to allow sealant to soak into concrete. Render coat should be allowed to chemically cure before sealing. For concrete to chemically cure, it typically takes 21 to 30 days . 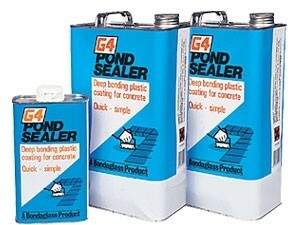 For fishponds it is recommended that no water proofer is used in the mix and that G4 pond sealant is applied once the render coat has set and cured dry.